Building a Hamilton-based Seed Library? While a number of the seeds we have will serve us this season, I’ll probably purchase more, whether at gardening or big box stores, from farmer’s markets, or at Seedy Saturday-type events (seed swaps). While each of these seed sources have their merits, there is a moral and political imperative to develop less commodified networks for obtaining seeds because one of the ways in which capitalism exists in agriculture is by controlling access to seed stock. Companies and governments facilitate agro-profiteering in multiple, overlapping ways: by criminalizing non-commercial sale and exchange of seeds; patenting seeds; and/or elbowing out localized, heirloom plant varieties and replacing them with hybrid varieties that do not produce viable seeds for saving and reusing in subsequent seasons. Thus, seed swaps are one way to challenge the corporatization of agriculture: people come together and ‘purchase’ new seeds by exchanging some of their own for ones they don’t have. (If you have no seeds to donate then you’re usually permitted to buy some with cash, but it isn’t encouraged.) In any case, these direct exchanges bypass companies that would otherwise profit from the sale and distribution of the means necessary to produce food–something to which I’m opposed. 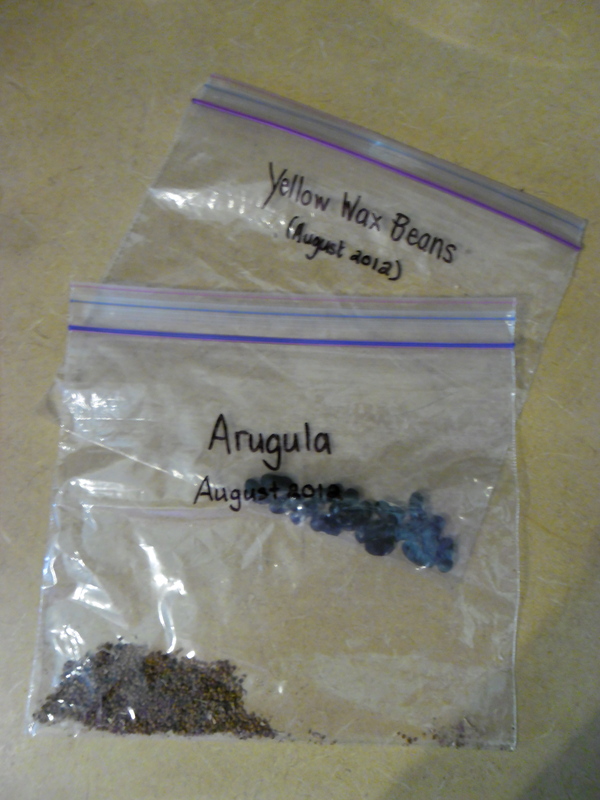 Lately I’ve been especially enamoured by the idea of seed libraries, which are like swaps in the sense that you are not required to pay for seeds, but they are slightly more permanent because they’re not limited to a one-day event. Typically housed in a public space like a library, or community centre, you can visit them at your leisure, borrow seeds to grow in your own garden, and then save some at the end of the season to return to the collective stock. In other words, you are ‘loaned’ some seeds with the understanding that you will contribute, at a later date, to the wider pool, free of charge. BASIL, or the Bay Area Seed Interchange Library, seems to be the queen of community-based seed libraries, at least in North America. You can see their website here. We have a “Create a library” resources at http://RichmondGrowsSeeds.org and a social network at http://SeedLibraries.org.